I was surprised and wondered why she would draw herself like this. Through conversations with some of my black friends, my eyes where opened to a reality that most of us, white people, never have to deal with. For this little girl is growing up in a world where the ideal of self is white and most of the toys and heroes this girl will identify herself with are white too. You just have to look at Disney princesses (my daughter is into them big time!). Even though Disney has attempted to add some diversity through princesses like Tiana and Yasmin, the characters that are shown in the shops; on bags, clothes, underwear, etc, are most often the usual suspects, Cinderella, Snow White, Rapunzel, Belle or Arial. Look at Barbie, Lego and Duplo. All the characters that come with these toys are mainly white. The same is true for dolls. It is true that especially in England more and more black dolls are available, but white is still the standard. Then there are books. So many of the heroes in children’s books are white and you have to look much harder to find books that show diversity. Not too long ago, I visited one of the main bookshops in England. My daughter had just started showing a huge interest in princesses, so I asked one of the staff if they had any books with black princesses. She had to look through a lot of books until she eventually found one! So why would this matter to a white woman? Well, even though my children have a white mum, both of them are seen as black by most of the people around them. It is crucial for me that they grow up with the sense that it is positive to be this black child. It is true that in the eyes of my (and I suspect most) children, the colour of a person’s skin doesn’t seem to be very important. Still, their specific identity as black and dual heritage children should be affirmed. I do believe one thing they need is positive role models who look like them. People or figures they aspire to be like that are also black. I want them to know that being a beautiful princess and being black do go together. 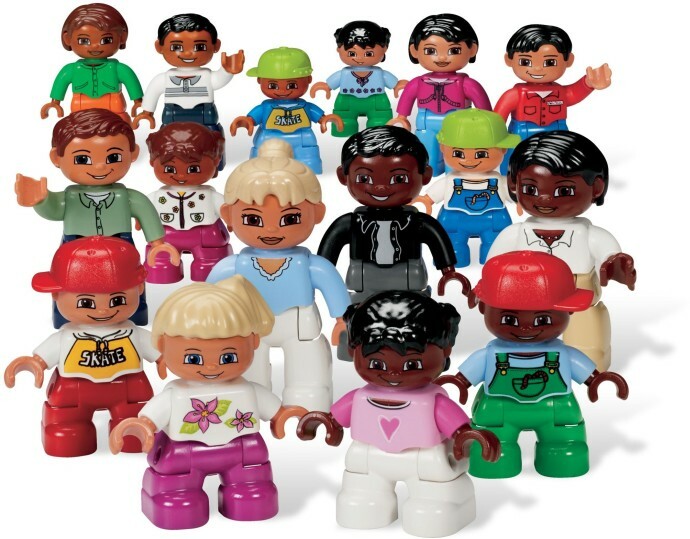 They should find it normal that there are black children living in Duplo and Legoland too. Both me and my daughter have fallen in love with this Disney character. 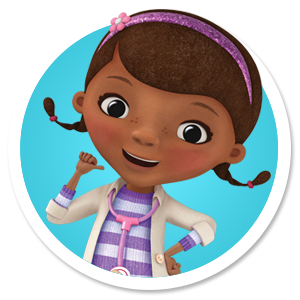 I think it is also a nice change from the whole princess world and a good way to stimulate young black girls that one day they might want to be a doctor too. Little Lady got this Doctor Set for Christmas and it was her favourite present! 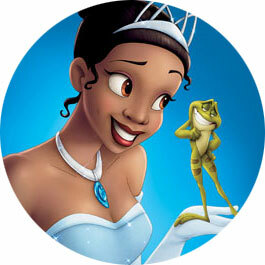 Tiana is the only black Disney Princess so I bought the DVD ‘Princess and the Frog’ at the same time as I bought Frozen. Tiana’s whole identity is based on the Afro-American world, so culturally it is still not a context my daughter would immediately identify with. My daughter loves playing with Duplo, but all the characters that come with the standard sets seem to be white. I found an educational set for schools, which is pretty expensive. It does make our whole Duplo world a lot more diverse so I do think it was worth investing in this. Well known story of the princess and the pea, but the princess is of dual heritage. The two grannies in this book are English and Jamaican, but we just pretend that these are my daughters Dutch grandmother, ‘Oma’, and her Congolese grandmother, ‘Nkambo’. Story of a girl who spends an afternoon with her grandfather while mum goes out shopping. This is a beautiful Children’s bible written by Desmond Tutu. The illustrations are drawn by artists from all over the world and the Bible Characters have different skin colours. Another beautiful story by Desmond Tutu in which one of the main character looks a lot like my daughter. Thankyou so much for this lovely blog. I am now going to go out and buy ALL these toys ,books and DVDS as I spend a lot of time looking for things for our grandchildren. They have got a beautiful realistic black baby doll that we bought their baby -mad mother for Christmas 28 years ago. He was quite a find and has been Baby Jesus pretty well annually! That’s so nice to read Sarah!! Thank you for commenting. Great to hear you gave your daughter a black doll so many years ago!! I can totally identify with your plight. My own mixed race little girl was so excited to go and see ‘Annie’ at the cinema and when I asked her why she loved it so much she said, “because Annie looks like me”. It is so important for our girls to be able to find positive role models to identify themselves with. Thank you for your blog for raising awareness of this important subject. Thank you for your comment Anna! Great to hear you can identify with this issue. I am very curious to see Annie too and think the concept is great! Unfortunately my daughter is still a little bit too young to go to the cinema but I am sure we will get it once it comes out on DVD. Did you daughter like it?